At Hall 6 and Hall 7 at the NEC in Birmingham on Tuesday 26th and Wednesday 27th March 2019, suppliers, charities, consumers, healthcare professionals and retailers will come together for this year’s Naidex. 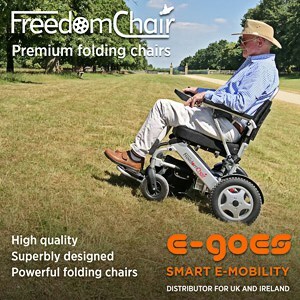 The event, one of the longest-running healthcare shows in the calendar, sees various exhibitors showcasing new products and services in the world of mobility, disability, rehabilitation and independent living. With so many different stands to see and people to meet, knowing the right places to invest time can be tricky for retailers in the trade on the hunt for the next best-selling product for their business. To help signpost dealers to the must-see exhibitors, THIIS has created the comprehensive Retailers’ Guide to Naidex, researching and highlighting the need-to-know products and people to see this year.